What could have been a better gift than this for Ted Jackson-Spivack, a pro poker player from the United Kingdom, who won the UKIPT season 6 main events and collected £35,000 as first Prize. Ted Jackson turns to 24, when he did this charisma in Birmingham. He played excellently well and topped a field size of 244 players. The tournament took place from October 6 to October 9 and received 244 entries out of which 216 unique were unique and 28 were entrants. The buy in for the tournament was £700+£70, and hence total prize pool generated for this main event was £165,676. Another UK based poker player named Ludovic Geilich becomes the runner up of the event and took home an amount of £23,600 as winning share. 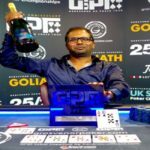 Meanwhile third position of the United kingdom and Irish Poker Tour season#6 belongs to Krishna Nagaraju from India who made £16,646 from the tournament, before getting busted from the top three players. 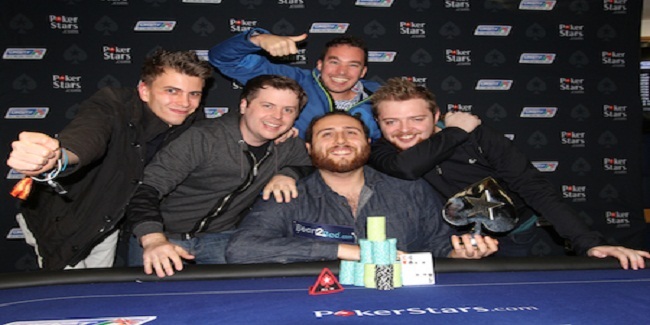 This was Jackson-Spivack’s largest live poker title win, though he has done well at online poker sites. 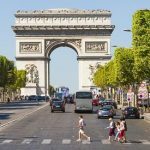 In recent WCOOP championship he comes third in event#5, which was a $320 buy in No Limit Omaha Hi/Lo, 6 max tournaments. He said that I wanted to participate in this tournament because I have played a lot of online poker previously and really looking for a change. Top seven finishers of this tournament are from the United Kingdom, whereas one is from India. UK’s David Wilkes hit the rail to eighth place for a total winning share of £4,330, Nathan Webb, another UK poker player who played really well got busted to seventh place for £5,920. Sixth, fifth and fourth places of the UKIPT#6 Birmingham are all from UK and they are like Jeremy Wray, a Pokerstars qualifier (£8,100), Graham Parkin(£10,670), and David Clarkson, another PokerStars qualifier (£13,480). Third and second positions of the final table were for Krishna Nagaraju(£16,646) and Ludovic Geilich(£23,600). Hence the winner is Ted Jackson-Spivack, who pocketed £35,000 from the tournament.